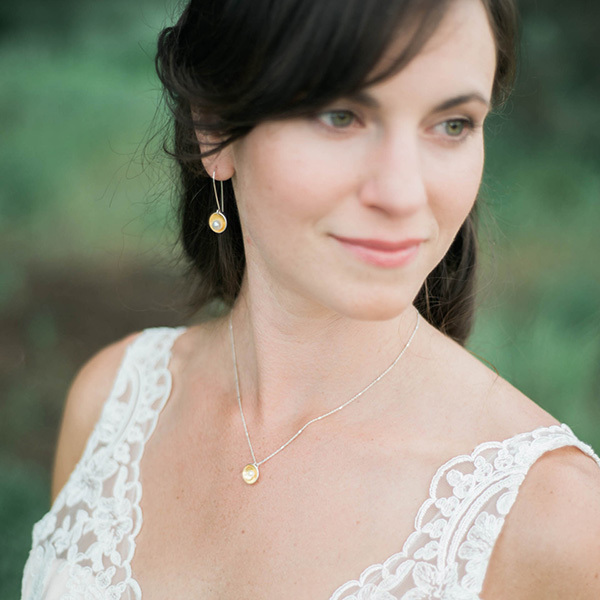 A simply elegant necklace perfect for the bride. 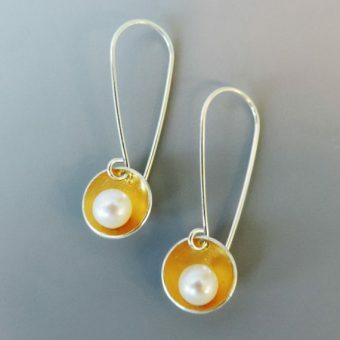 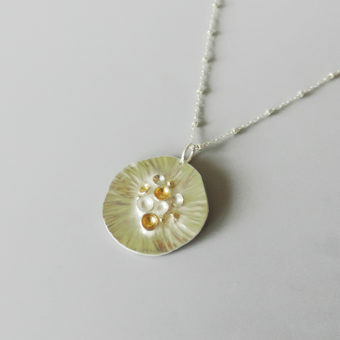 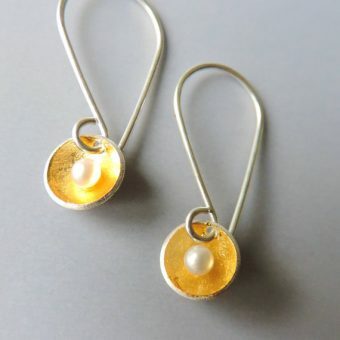 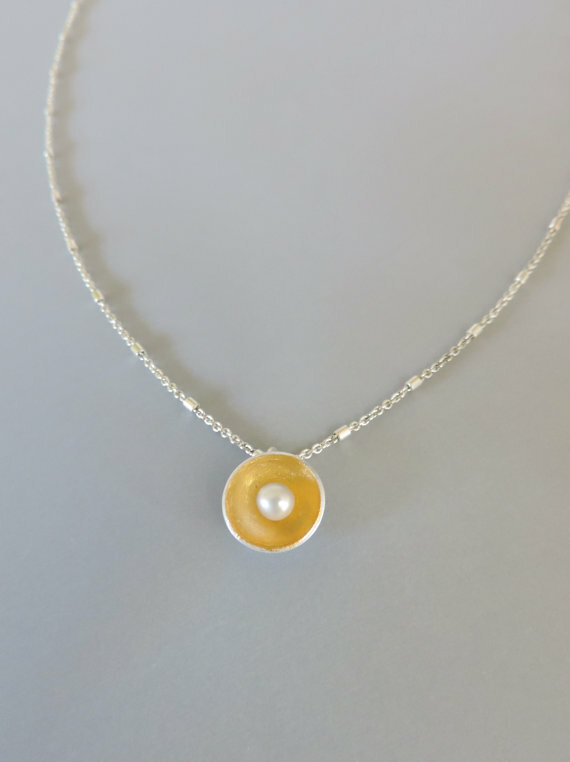 Made of sterling silver with your choice of either a 24k gold, silver or dark patina finish and a freshwater pearl accent. 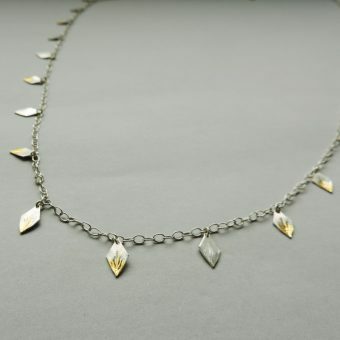 Hangs from a 16″ chain. 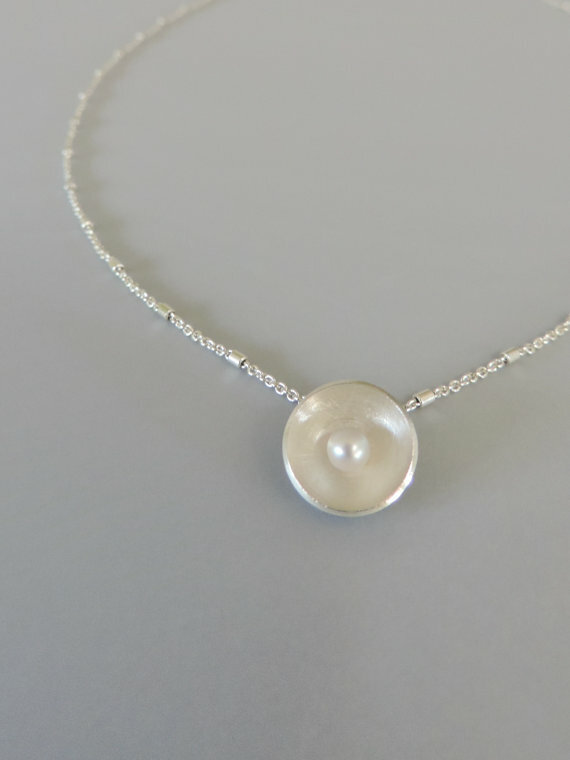 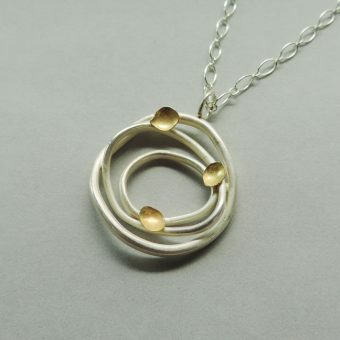 This is a sweet little necklace with the same elegant flair as the matching reflect studs it is designed after. 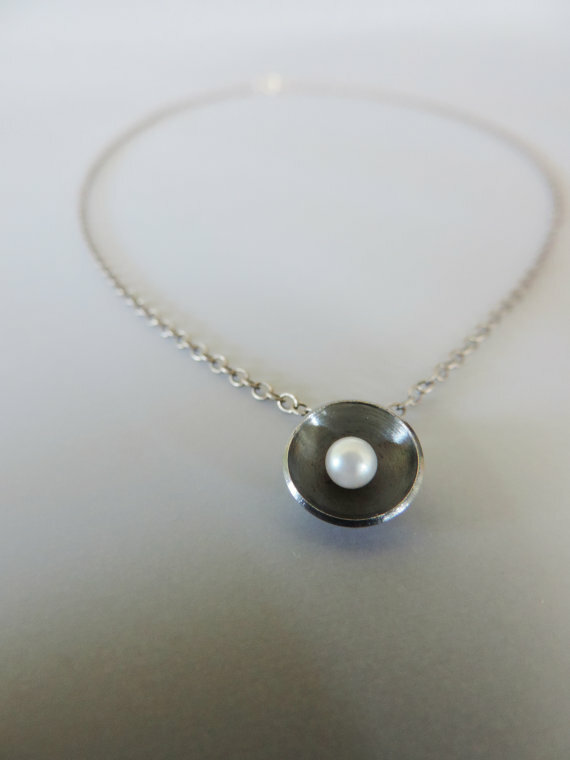 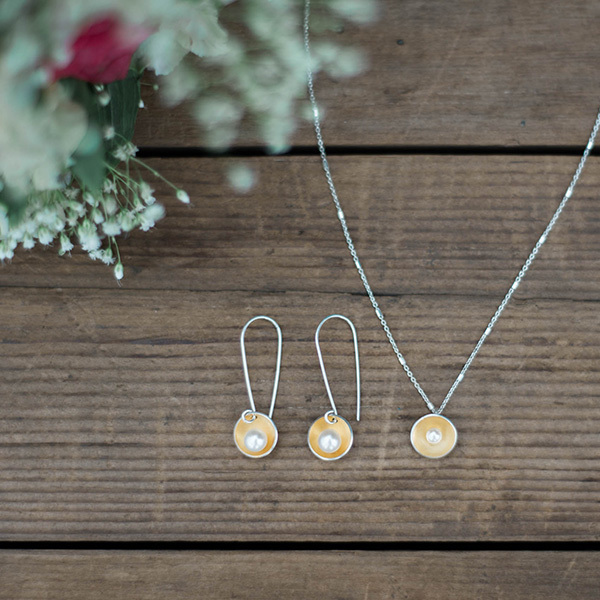 Perfect as a gift for her or something elegant and simple on your wedding day. 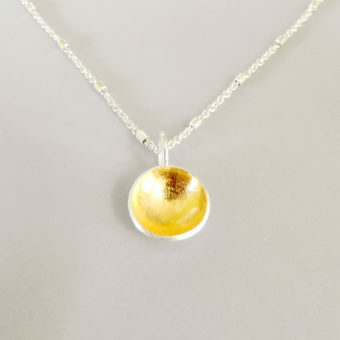 Made of sterling silver with your choice of 24k gold keum boo, sterling silver or dark patina finish each accented with a fresh water pearl in the middle.